Keep warm in these versatile shackets. 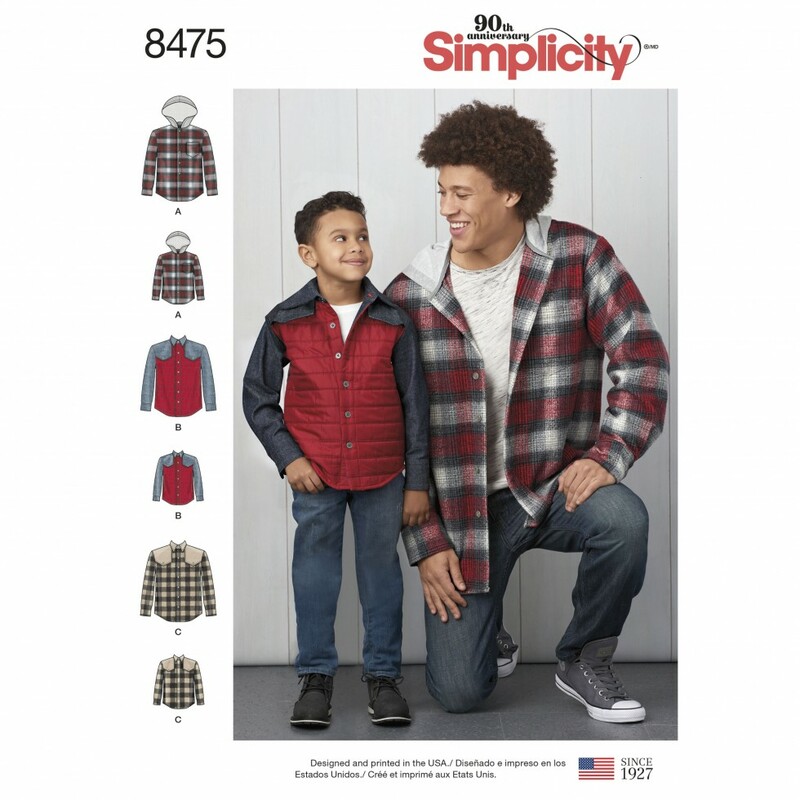 Pattern in sizes Men S XL plus Boys S L all in one package. Shirt Jackets have option for contrasting yoke and or hood. Can be made in a wide variety of fabrics from flannel or denim to pre quilted or fleece. Simplicity sewing pattern.